For most people the purchase of the family home will be the most important investment decision they ever make. 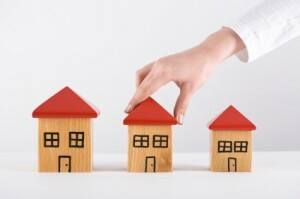 Size, location and cost are all important factors in choosing the right home. And it must be able to cope with the ever-changing needs of you and your family. Just as important is the loan you choose. That’s where we can help. As experienced Gold Coast mortgage brokers, we encourage you to speak to us about our range of home loans that will meet your needs both now and into the future on the Gold Coast. To find out more about loans gold coast, visit our home buyers page. Buying a home for the first time can be a daunting process. How do you know you’re getting the best deal? Impact Lending Solutions will be with you every step of the way from application to settlement and beyond. Ask us how we can make the purchase of your first home a safe, comfortable and positive experience. There’s nothing like the excitement of shopping for a new car! Whether it’s a sporty little number or a safe, practical workhorse, new car shopping is a whole lot of fun. Let Impact Lending Solutions worry about securing the best finance so you can concentrate on more important things – like colour, mileage and cup-holders! 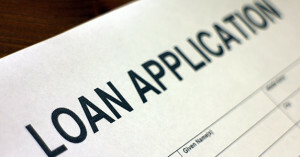 Call about starting your loan application today. To find out more, visit our car financing page. Investing in property can be one of the safest and most secure ways to get your money working for you.Impact Lending Solutions understands the sometimes complicated world of investment borrowing and can draw on their many years of experience to ensure you get maximum bang for your buck! Drop us a line to find out more. Just because your home loan was once competitive doesn’t mean it still is. The finance market is extremely competitive and finding the best loan can exhaust your patience. Well we’ve done the work for you. Contact Impact Lending Solutions and ask how you can start saving money today. Are you thinking about borrowing loans on the Gold Coast, but are unsure if you can afford the loans and repayments? Use our simple online calculators to find out!